And yet here I am again thinking of repeating the experience as I really do enjoy meeting other crafters and chatting to them as well as the customers. Well, we’ll see how it goes – I am sure it will form the subject matter for a future post! 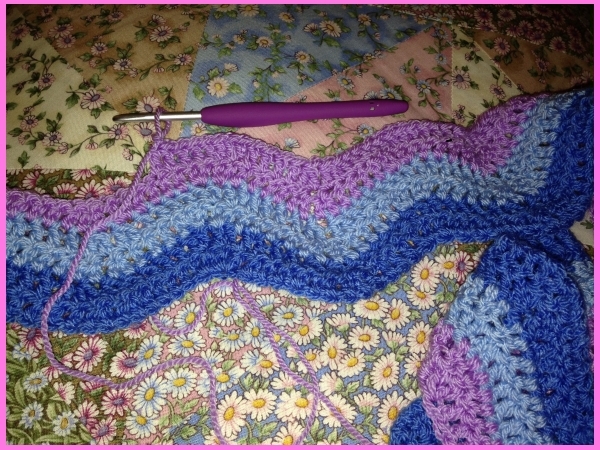 The other thing I have completed this week is the tutorial about crocheting with the Kidsilk Creation Stripe Yarn. It’s easy to do once you understand what you’re doing so hopefully this might help a bit if anyone is stuck. So here we are again – Sunday night Linkyness at Handmade Harbour! Now Dancing on Ice and Call the Midwife have both finished I might get round to commenting on the blogs a little earlier in the evening than recently!! Managed to make a few more things towards the Handmade Christmas Market at the 02 this week. It’s getting near now and I am very excited! 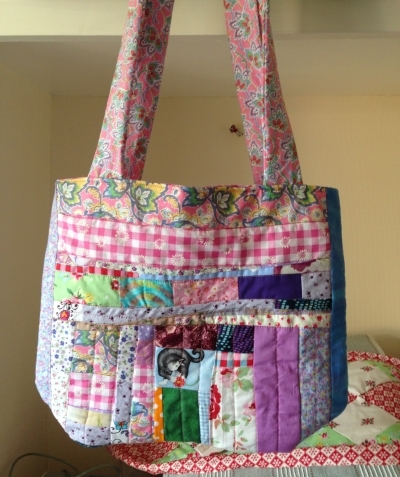 This patchwork bag was based on the tutorial at Sew Mama Sew. I used much tinier scrap pieces in mine and made the fabric handles instead of using webbing. However I have now managed to get some and so the next ones will have cream cotton handles. 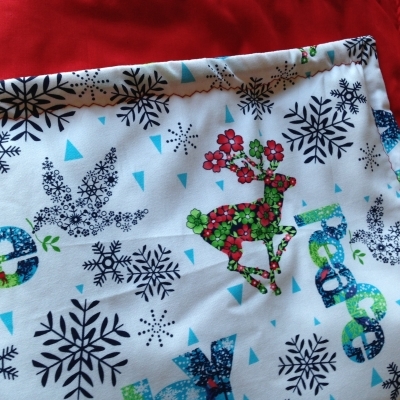 This is a Christmas table runner in lovely thick white fabric with ‘Joy’ and ‘Peace’ and ‘Love’ printed on it as well as snowflakes and reindeer! It’s padded and backed in red but not quilted. This is the start of an alternative type of advent calendar. 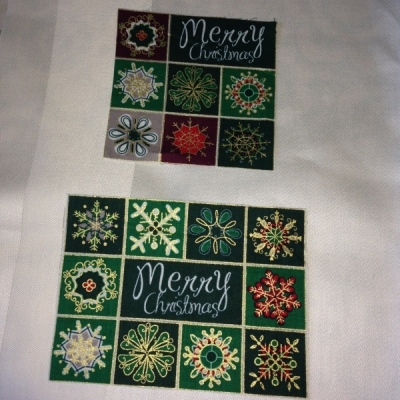 I am cutting up Christmas fabric into little squares and sewing them onto a plain cream background to make 7 little pockets which can hold 7 little presents for the 7 days leading up to Christmas. My mum did something similar for us as children and I have continued it with my grandchildren too so I thought it might make a good sell at the Christmas market! The next task now is pricing! I hate this part – I have read loads of articles and books on the ‘art (science?) of pricing’ and yet the main feeling I have is – all this is no good if items don’t sell – the pricing needs to fit the situation as well. Shop prices are somewhat higher in London than the provinces – but does this apply to handmade craft fairs or has the boom in online sales evened out the regional differences? Another quandary is, I imagine over a 3 day event sellers are expected to hold back stock to ensure enough is for sale on the last day, but how to do this without ending up with unsold items at the end? I would appreciate some advice on what others have done if anyone has exhibited at an event longer than one day. Maybe the Handmade Mondayers can help? I’m linking up at Handmade Harbour again for a lovely evening’s blog reading and maybe some helpful advice?!! Sewing for the xmas market! No more lolling in reflection this week! I am on a countdown to the Handmade Christmas at the 02 and have to increase my stock dramatically! So I’ve tried to get up early and get some morning sewing in before I get too tired. Trouble is I want to try out all my ideas but designing and making prototypes is very time consuming although very interesting! 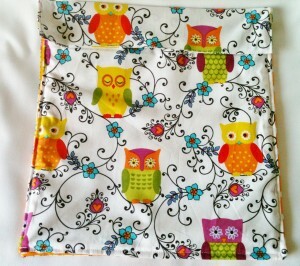 I though this would be a nice little pouch for a child’s reading book or for a kindle? 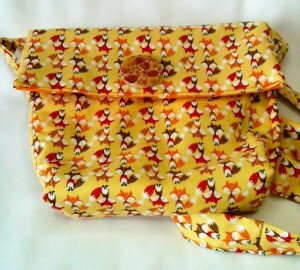 This one is a small shoulder bag -it has orange spot fabric inside! And these are healing hearts! – Each is stuffed with soft filling and includes essential oils so they smell lovely. 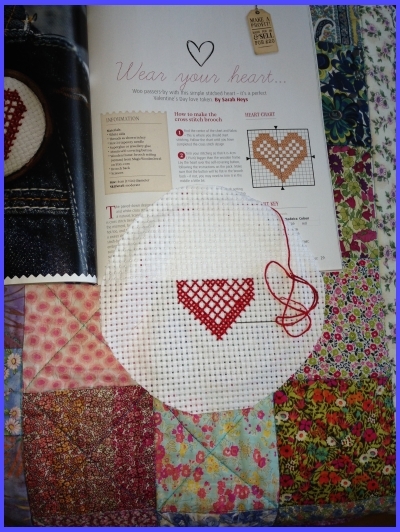 I am going to attach some of the red string I think, but I am not sure. 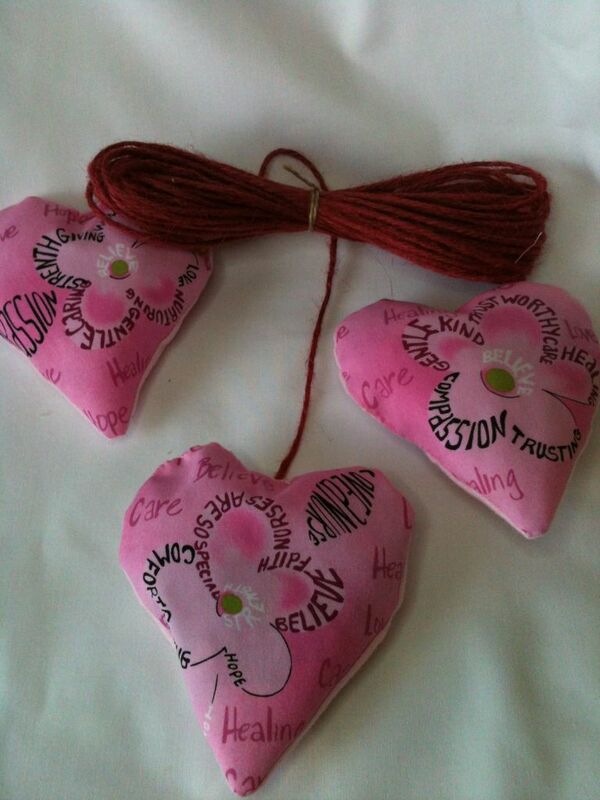 The idea is that they would be a nice gift instead of, or as well as a card for an unwell person. They are all Reiki blessed as well as I am a Reiki Master. What do you think? Are there too many stuffed hearts on the market all ready? 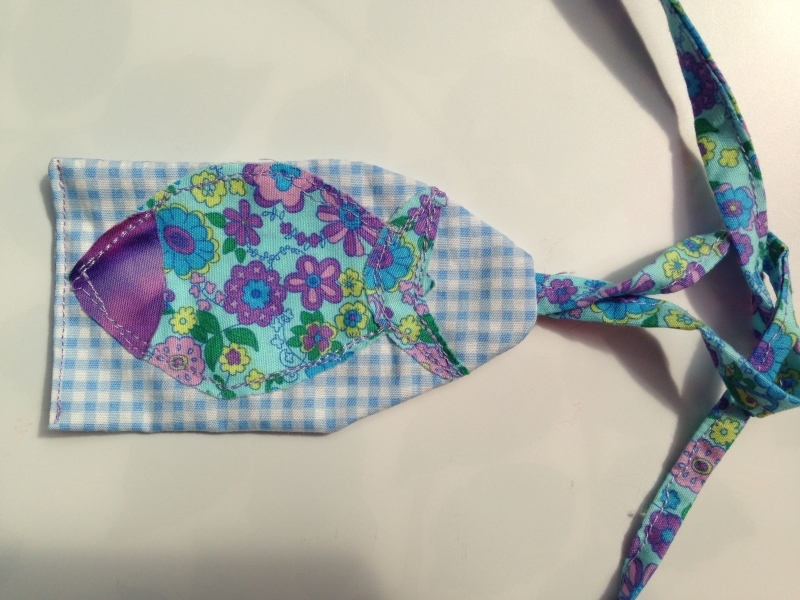 Now over to Handmade Monday for the usual weekly read and see what everyone else is making! Well sorry I missed last week’s Handmade Monday but I was away with my DH having a much needed break! 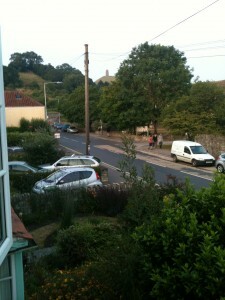 We have been in the Forest of Dean for a couple of days and then spent 5 days in a cottage in Glastonbury! Plenty of scope for coffee and cake adventures! I love Glastonbury and used to come here 3 or 4 times a year with friends, but because of health issues I haven’t been for 3 years now, which is why my lovely husband suggested it as a holiday for us! Glastonbury always had a recharging/de-stressing effect on me when I came here touching me spiritually, deepening my sense of oneness with the earth and my ability to tune into the magical/otherworldly realms. Since becoming ill and having to take pain meds I have felt a loss of connection to my spiritual side and even an inability to enjoy meditation as I used to do, so I was very much looking forward to experiencing a rekindling of these lost attributes by being once again in Glastonbury. We had a view of the Tor from our bedroom window! Sadly I can’t walk up it any more but maybe one day I will manage it again. Well I enjoyed my time away, I feel rested and more relaxed, but I didn’t experience the ‘Glastonbury Effect’ – not any of the ‘connections’ I used to feel at the sacred sites such as the Goddess Temple and Chalice Well. I drank the well water and walked through the healing pool, I enjoyed the sensation, but it seems that nothing can get through the blanking effect of taking heavy drugs long term, no tingling excitement or special awakening occurred. I did read some very interesting books though which the hosts left in the living room and from these I remembered some of what I used to do naturally. So now I will be working on reawakening my chakras, trying to reconnect with my higher self and deepening my connection to natural world around me to see if I can regain some of my sense of goddess spirituality. 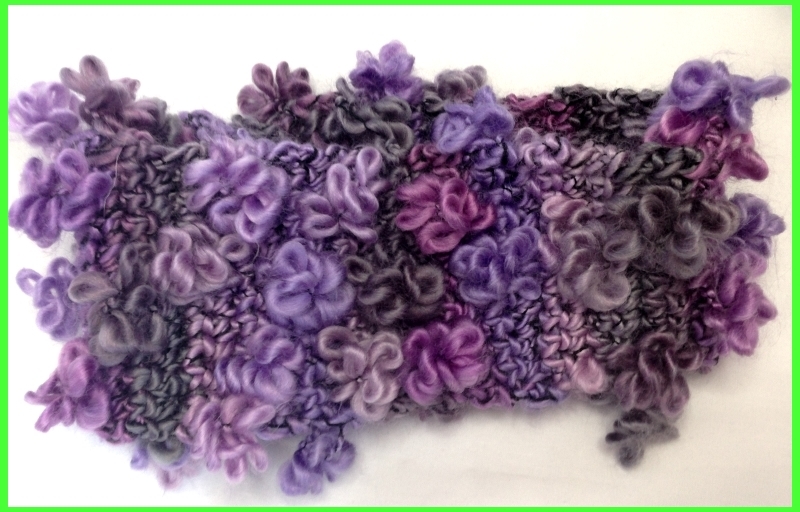 Floral binding and Rainbow Wool! 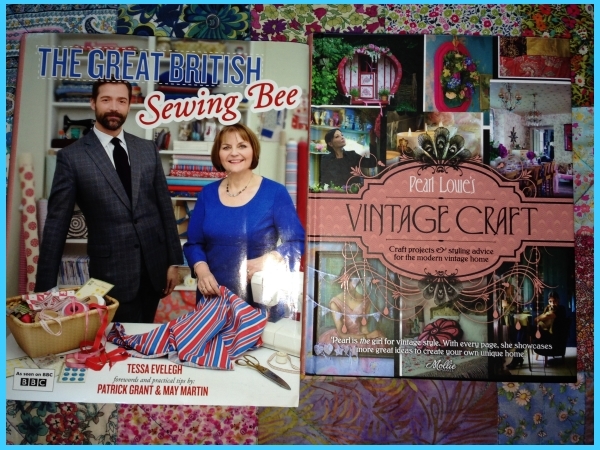 I did also manage to feed my fabric addiction in a beautiful little craft shop in Lydney, and a wonderful emporium called Sew Vintage in Wells. Here is the ready made quilt binding I bought and some lovely wool I just couldn’t resist. So now I have even more of a stash and haven’t made any progress at all with making things!! Oh well, par for the course for fabric fanatics! Now I’m back home I have decided to make some summer resolutions! That shouldn’t be difficult, should it?!! 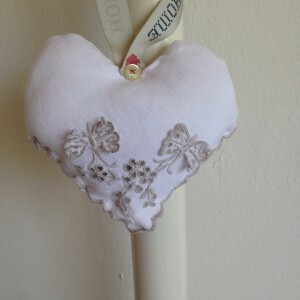 Think I’ll start by popping over to read the other blogs at handmade harbour!! Handmade Christmas at the 02 anyone? This week I have had absolutely nothing that I had to do (apart from usual shopping cleaning etc) but no appointments or family to pick up/take out etc so I have pretty much been able to sew sew sew! 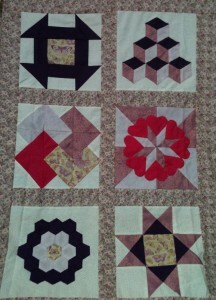 It has been really relaxing and enabled me to complete my quilt top ready to start the quilting and binding next week. I didn’t think I’d be doing any hand sewing on a patchwork quilting course but we did, we learned applique as well, and I found it very relaxing sitting in the garden doing some hand sewing. 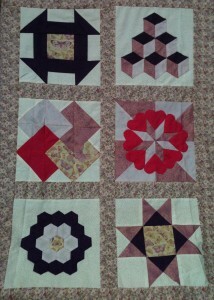 Here is the finished quilt top which now needs making into the quilt sandwich! I don’t know if any of you crafters who join in in Handmade Monday heard about the Folksy collaboration with the big Handmade Christmas Fair at the 02 in December?? Well I have taken a leap of faith and booked a market stall for the 3 day event!! I am sharing the stall and the costs with my sister who is a photographer and so I am quite looking forward to it as a sister road trip as well as the selling side. I am, however, a bit nervous of managing a stall for 3 days on the run and also worrying if we will sell enough to make it worthwhile! I will be selling quilts like the one above as well as my smaller items, the mobile ‘phone cases and Tablet cases and some of my jewellery. There are concerts on at the 02 and the fair organisers have agreed to arrange a ‘buy now – collect later’ point in the arena so that concert goers can buy things more easily. 60,000 people are expected to visit so it sounds good! Anyway I’d be interested to know if anyone else has booked a spot and what you think are the chances of anyone buying something as big as a quilt? Would more smaller items be better? Please share your thoughts – any advice welcomed!! Creative Craft Show in Manchester! Oh what can I say except it was FAB FAB FAB! It was a crafter’s dream day out. Good friend, craft stalls and good coffee! About half the show was card making and scrapbooking which I like but am trying to stay from away from due to need to do some housework occasionally… We drooled over some lovely fabric (not literally!) and chatted to some really nice stall holders about their craft. I now badly want to learn how to use the Lucet! I will even hold a workshop day in my house if I can get 9 others to join me and pay a max of £25 to cover the tutor and associated costs!! If you’d like to come please let me know!! One lady who we particularly talked with was Lesa from Natural Leigh who seemed very empathic to my friend’s recent troubles and put her hand on her arm in unspoken support. I sensed the healing touch even standing next to her, my friend was quite moved. Before we moved on this lovely lady cut two pieces of her newest charcoal design in the lovely French chambray she sells and gave them to my friend to make herself something! She then cut two more and handed them to me saying that I ‘must have gone through it with her’! 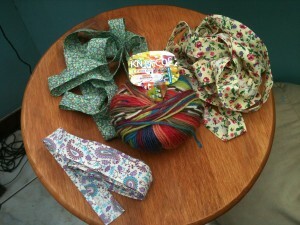 We walked away a few minutes later with our fabric scraps and some sweet smelling hemp rope as well! We felt quite moved and blessed. 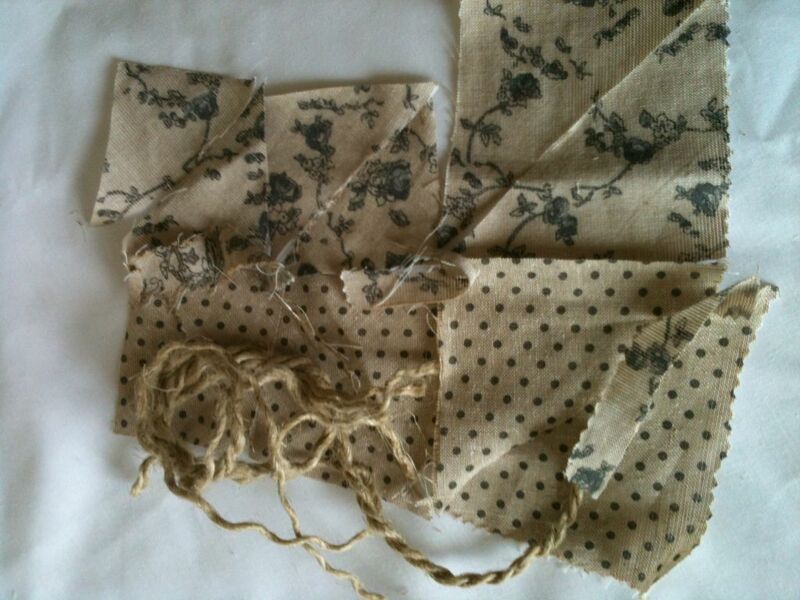 So at home this weekend I wanted to make something special from my fabric pieces. As I turned it round and round in my hand an idea took shape! Can you see what I have started to cut it into? 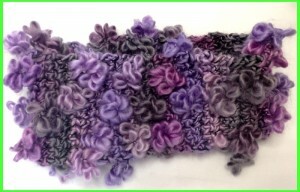 It’s so lovely and soft to the touch I very much want to order some and make something for myself! I am going to treat myself to the rose pink fat quarters I think! I am also going to see when the next Creative Craft Show is taking place and plan another road trip, but for now I am going on an online trip round the fab craft blogs at Handmade Monday. I am feeling much better this week, thank you to everyone for the get well wishes! This week I have been making and sorting my items for a craft fair yesterday. The fair was another dismal one with hardly any footfall. People around me sold nothing – some left early, obviously fed up. I only sold 3 things 🙁 but I received an email custom request from Folksy so that cheered me up! Something I wanted to ask all the lovely crafters at Handmade Harbour is whether or not you all know about the postal increases from Tuesday? Not only are prices increasing – but categories have been altered – for the worst as far as posting by handmade sellers are concerned. The Post Office lady explained it to me when I went to post one of my Faery Gardens which sold on Folksy this week. I boxed up this bottle garden and wrote “FRAGILE” and “KEEP THIS WAY UP” all over the box. It cost £2.70 first class which was fine. – BUT – then the Post offfice lady explained that ‘Fragile’ items don’t get any special treatment and will be tipped out of the sack along with everything else. (duh?) The most you can hope for is that they won’t kick it about !!!! I haven’t heard from my buyer yet as to whether she received it undamaged. I have posted one before which arrived safely so I am really hoping this will too! However, she then dropped the bombshell that along with the increase in postal charges the categorization is changing, so that a small box similar to mine would no longer be classsed as a packet, but would from now on be a small parcel with the associated charge of £5.30 at PRE rate changes! Who knows what it will be from tomorrow? So now what do I do about my Faery Gardens? I sell them for £5 – no-one is going to pay more postage than the item costs to buy – effectively doubling the cost. Although there is no increase for ordinary first and second class post, Royal Mail are reducing the size allowed for ‘letters’ and ‘large letters’ so that fewer items will fit into these categories. If you want to check out what it will mean for your business http://www.royalmail.com/prices-2013 will tell you! I think these changes will have implications for sellers of handmade items which are at the lower end of the price range. 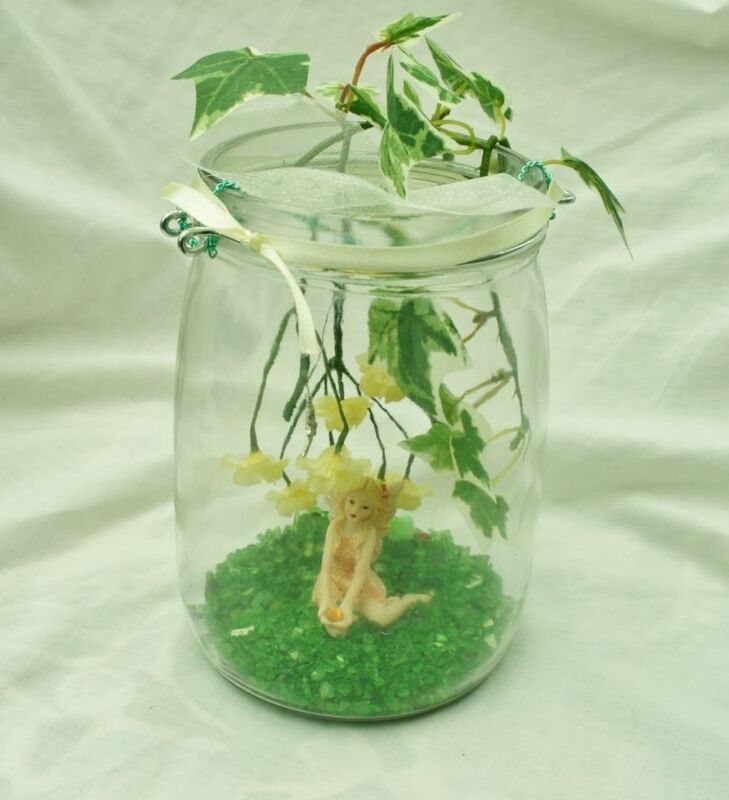 Someone buying something as big as a Faery Bottle Garden but costing say £40 won’t be as bothered at a £5 p&p as someone buying something under £10. Has anyone any thoughts about what they will do? 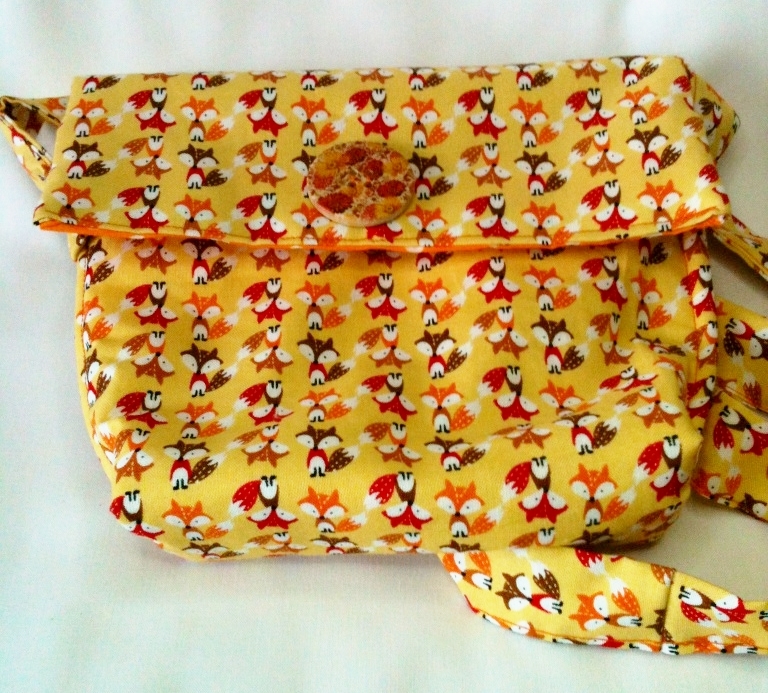 Over to Handmade Monday! !